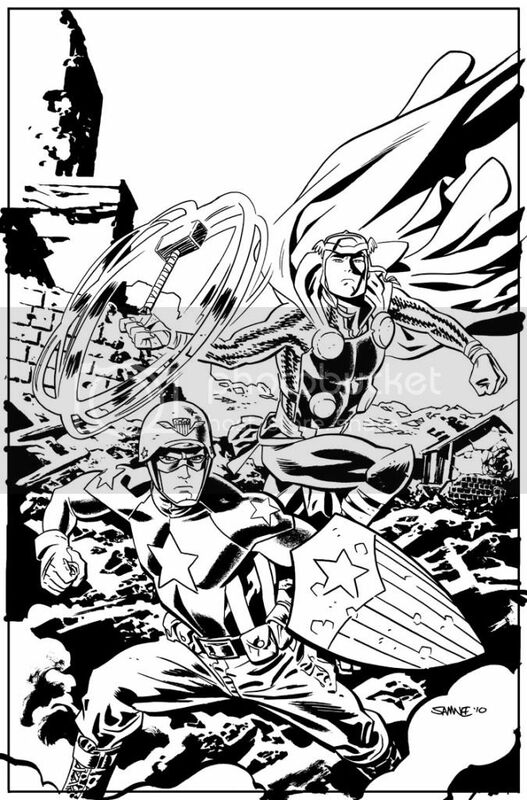 Chris Samnee: Thor & Cap FCBD!!! The translation from pencils to ink in your work always amazes me. Great work! I look forward to some more TMA after the main series ends. Love the Captain America costume. Such as with Thor and everyone else you've redesigned it's simple and recognizable. Can't wait to read this. 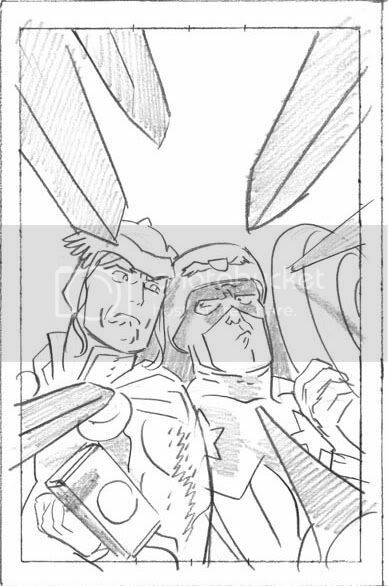 Also I love the third thumbnail it embodies the whole reason I read Thor: TMA. It just screams, Fun, Humor, and Adventure. This is my first time to leave a comment at your blog. I was so depressed when I heard about the cancellation of Thor: TMA since it's the only Thor comic that I truly enjoyed. It was a fun read, sweet and very heartwarming. 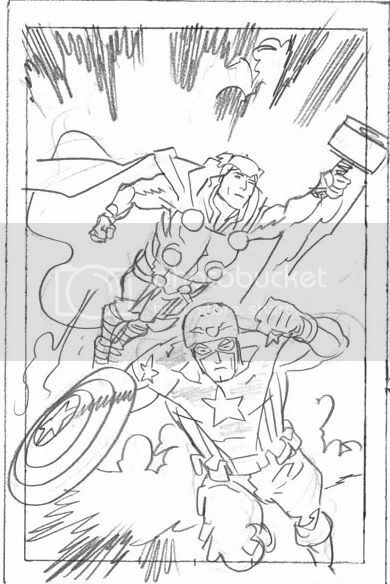 I'm very happy that there will be a FCBD comic featuring Thor and Captain America. I can't wait for May to roll in. 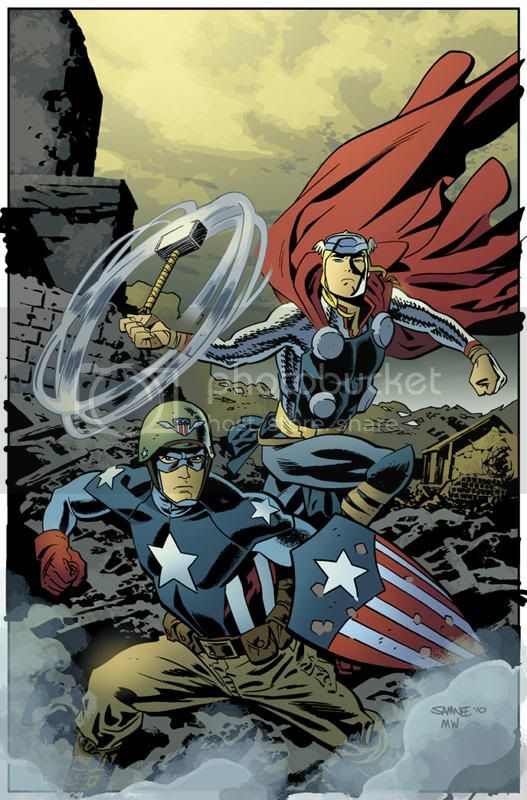 Great take on Cap! Love your work. Thanks for the process shots. Do you ink any different when you know your work is going to color than when it's staying black and white? Great Stuff! love the simple- and yet still quite perfect Cap design. 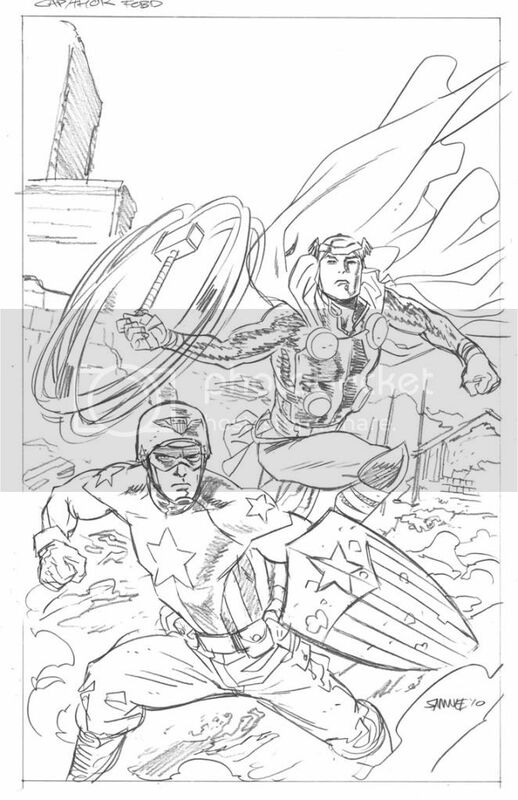 I think it wold have been well-recieved at the recent Project Rooftop Captain America redesign contest. I'm still disappointed about TMA, but keeping an eye out for your work and wish you much success. I absolutely LOVED that third thumbnail. You put so much personality in your sketches--it's genius. 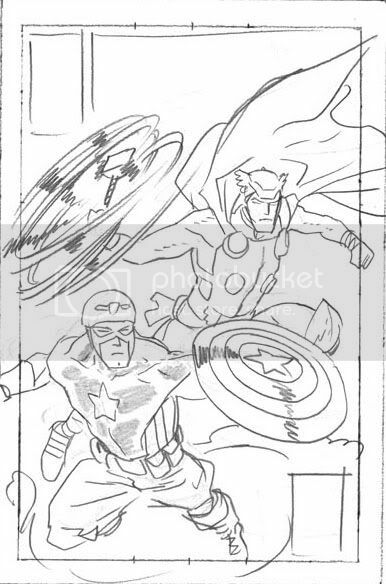 I can see why they chose the second sketch for the cover, ultimately, if they were looking for iconic, but that third one would have had me picking up the issue at first glance even if I didn't already love Thor:TMA!